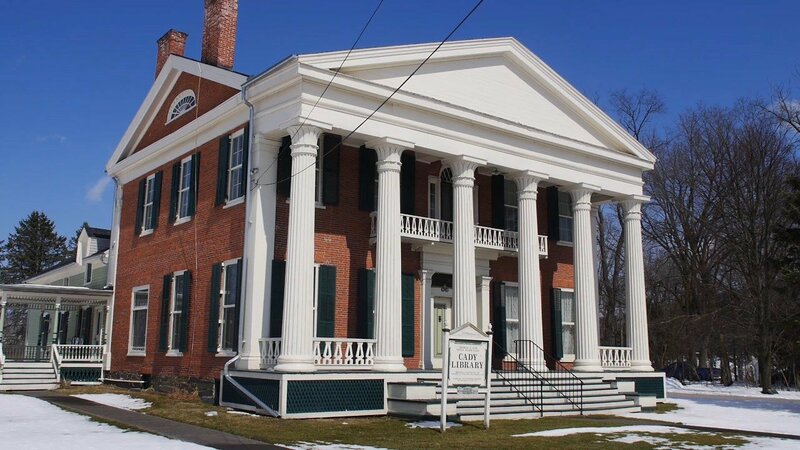 Built in 1828 by Nehemiah Platt, the Cady Library building has been passed through generations. Doctor George Cady Junior inherited the house on River Road in Nichols from his father in the late 1800s. "He had an office in town, across the street next to the bank," says Virginia Okrasinski, a member of the library's board of directors. With a second office in nearby Owego, George Junior would regularly ride the train to appointments. "The train station is located right behind the library, conveniently enough," says Okrasinski. 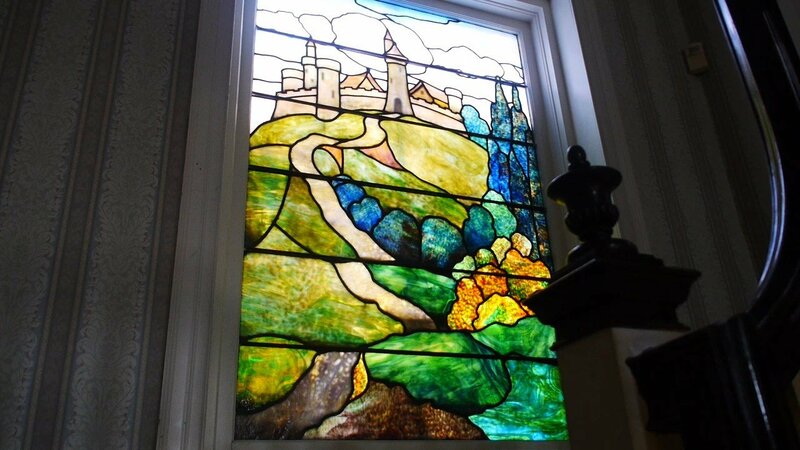 It was that train ride that inspired Cady to add his mark to the mansion in the form of a giant stained glass window on the back of the house. "People in that time would come to visit him, they would get off the train," says Okrasinski, "So the first thing they would see would be the back of the house and that beautiful stained glass window." Likely ordered from New York City, the glass was layered to get the color just right. Several inches thick in some places, the colors make up a picture of a castle on a hill. Doctor Cady bought a second window and donated it to the Presbyterian church. This was not his first gift to the town. "He did a lot of other things. He built buildings for the community, he gave the land for the park," says Okrasinski. With no surviving children of his own, Doctor Cady's final gift to the community was his mansion itself, which was willed to the Town of Nichols under one condition: To be used as a library. An avid reader, George Junior's strong belief in literacy lives on through the library, which has been operating since 1941. Cady's own book collection started it all. "They were the first library, they put cards in pockets in his own personal books and circulated them for a long time," says Okrsasinski. The original Cady book collection still holds a place of honor in the library in several glass cases. 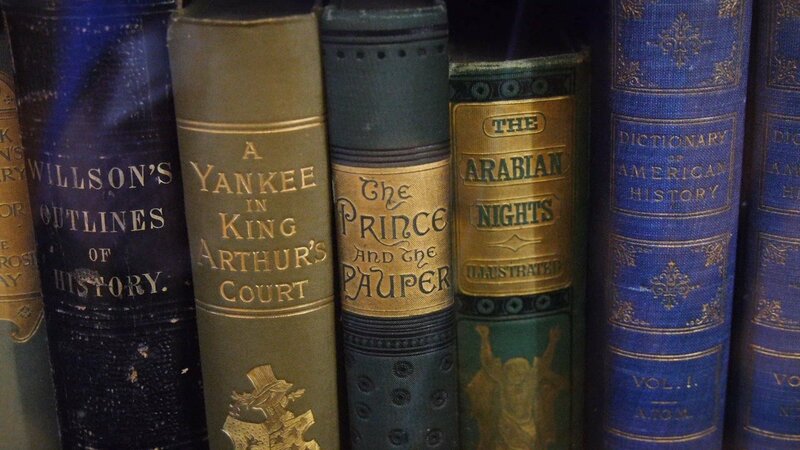 There are several first editions, including original copies of Mark Twain's work. "They're very precious to us," says Okrasinski. Since then, the Cady Library collection has grown, all thanks to that first donation from George Junior.